Hot Toddy is a cocktail recipe made with honey, bourbon, and cinnamon and is the PERFECT hot drink for warming up on cold days. 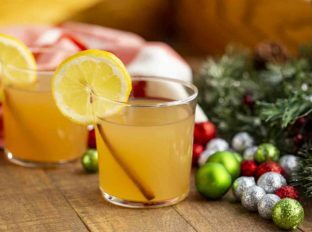 While we’re in the holiday mood, we love enjoying a good toddy with some Pot Roast for dinner and some Ultimate Apple Crisp for the ultimate cold weather meal. Hot Toddy is like a hot mug of tea, but instead is made with hot water and bourbon, infused with cinnamon and a squeeze of lemon juice. The adults in my family have always made these to help get rid of a bad cold, but this is one of the few cocktails my husband and I like to enjoy as soon as the snow starts falling and the sun goes down. It just warms you up from the inside out. 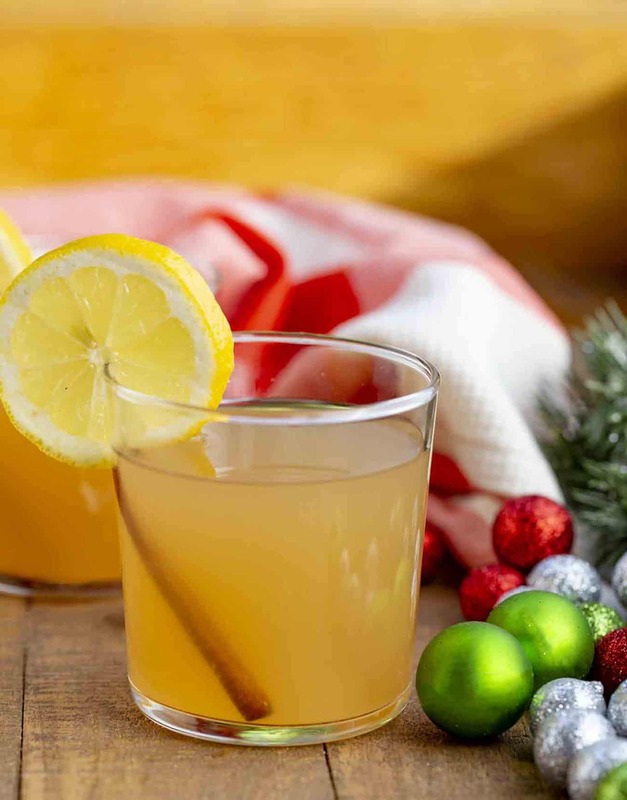 This hot toddy recipe is one of those cocktails that is very comforting because it reminds you of the holidays. 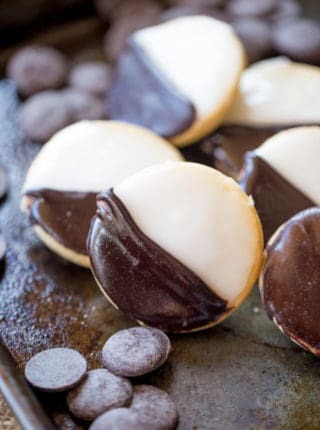 Around the country you’ll see that everyone has their own favorite version of this recipe, depending on where they live. But here I have a classic hot toddy and a few suggestions to change the flavor of the recipe. It’s not overly sweet and has a really nice spice that reminds you of the season. WHERE DID HOT TODDY ORIGINATE? Hot Toddy is a drink recipe that original comes from India, using a mix of liquor (usually bourbon or whiskey), hot water, honey, and spices. A classic hot toddy uses a few basic ingredients, and gets really popular right around flu season as the cocktail is also often used as a remedy. A lot of people believe a toddy will reduce common cold symptoms, but it’s more likely that it just soothes them like a cup of tea or chicken soup. Some believe that the whiskey has a numbing effect, too. There are a lot of different toddy versions nowadays, ranging from ingredients like ginger-ale to whiskey. WHAT KIND OF LIQUOR should you use? Bourbon or whiskey are both great choices for a toddy recipe and work equally as well. Some recipes also use rum or vodka, but I would go with whiskey first if you have it because the flavors are very different. A lot of recipes call for Irish whiskey specifically. HOW DO YOU SWEETEN A HOT TODDY? Traditionally a hot toddy uses honey, but you can add other sweeteners too depending on your personal taste. 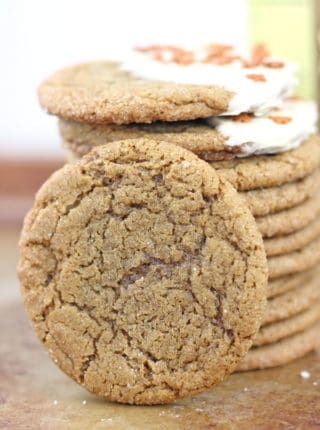 Try a teaspoon of maple syrup, simple syrup, brown sugar, or demerara (raw sugar). Each one will add a little bit of a different flavor to the recipe. 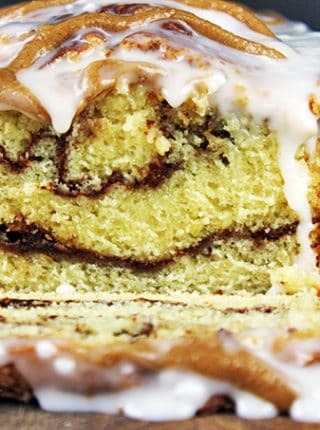 If you don’t have cinnamon sticks, substitute a pinch of cinnamon, cloves, nutmeg, or anise. Add a teaspoon of fresh lemon juice to this recipe to add a really nice tart flavor to the cup. 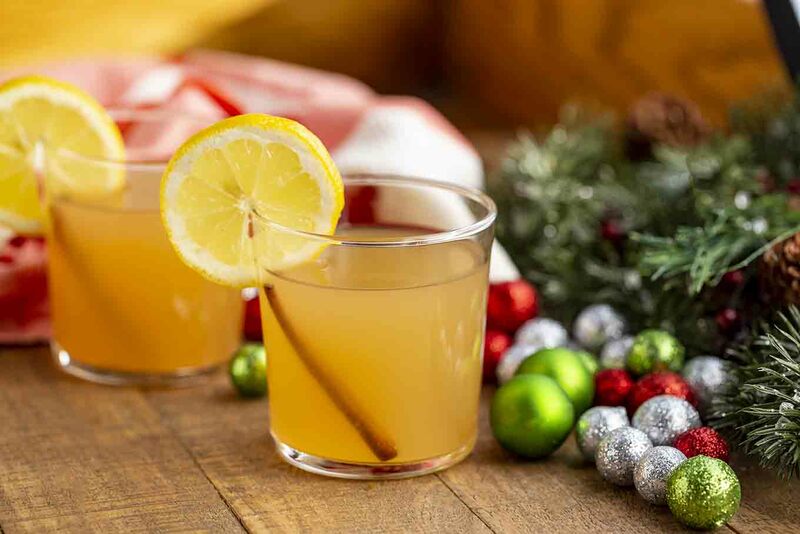 If you’re serving a hot toddy, make the cup look more decorative by adding a squeeze of lemon juice and then leave a round lemon slice in the cup. You can sub hot tea instead of boiling hot water. If you don’t want the boozy version, make your hot toddy non-alcoholic by leaving out the bourbon and using black tea instead, then follow the rest of the recipe as-is. 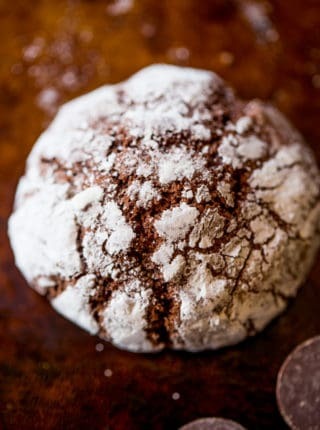 If you don’t have ground cloves, use whole cloves and strain them out before drinking. Add the water, honey, bourbon, cinnamon stick and lemon wedge to a cup, let sit for two minutes and stir with the cinnamon stick until the honey is dissolved. Add a squeeze of lemon if desired. One of my favorite winter drinks! This will definitely be on my weekend list! Yes, please!! This sounds fabulous!! perfect cocktail for a cold winter’s night!! Wow, I haven’t had one of these in ages! You have inspired me to make one this weekend!